This page draws together table tennis-related information for all of Special Olympics. The coaching materials and other links will help you get a good sense of how this sport contributes to Special Olympics. 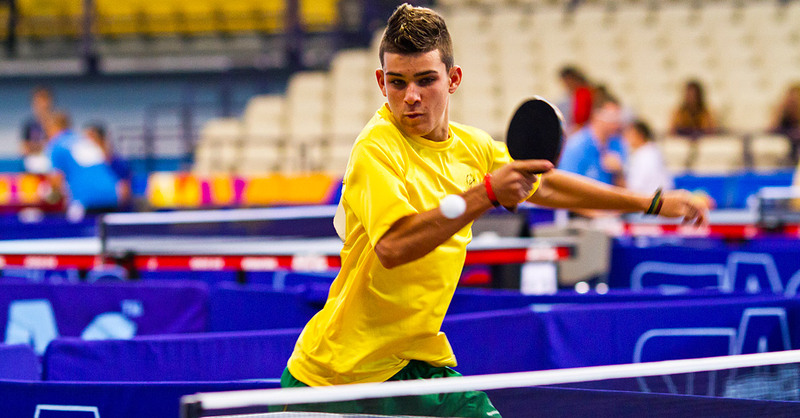 Every athlete aims in passing the ball to the opponent side of the table over the net, striking it with a table tennis racquet. 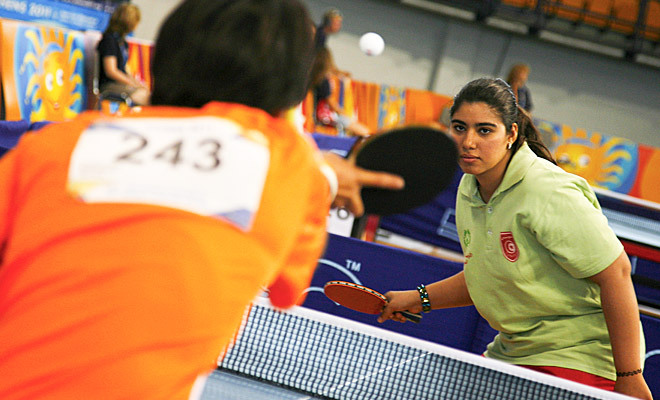 Table Tennis is a fast sport that requires excellent coordination of hands and eyes. Special Olympics athletes share the essential elements of force and ability so that they can play table tennis. Apart from the traditional events, Special Olympics competition includes individual skill events that allow the athletes to work and compete in basic skills of table tennis. The development of these basic skills is necessary for the athletes to take part in the events. These skills include bounce of the ball with the racket, volley and backhand.